A black woven bracelet set with a polished stainless steel tab, featuring the iconic Armani eagle logo. Simple and stylish wrist wear ideal for everyday wear. Emporio Armani Men's Leather Bracelet is rated 5.0 out of 5 by 1. 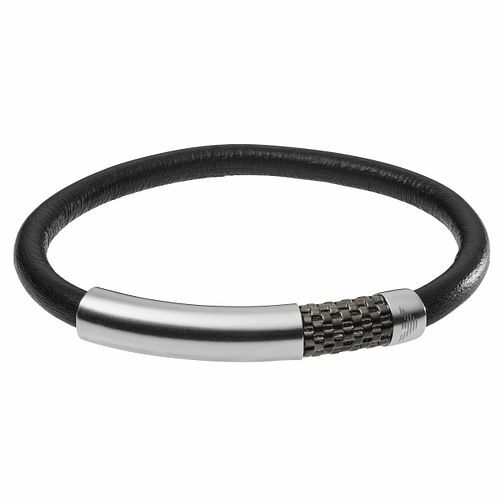 Rated 5 out of 5 by Anonymous from Great mens bracelet Bought this Armani bracelet for a gift for a 60th birthday, he loved it. Looks classy. Very pleased with my purchase, postage was really fast.